Slides are a series of four lambda prints on aluminium. 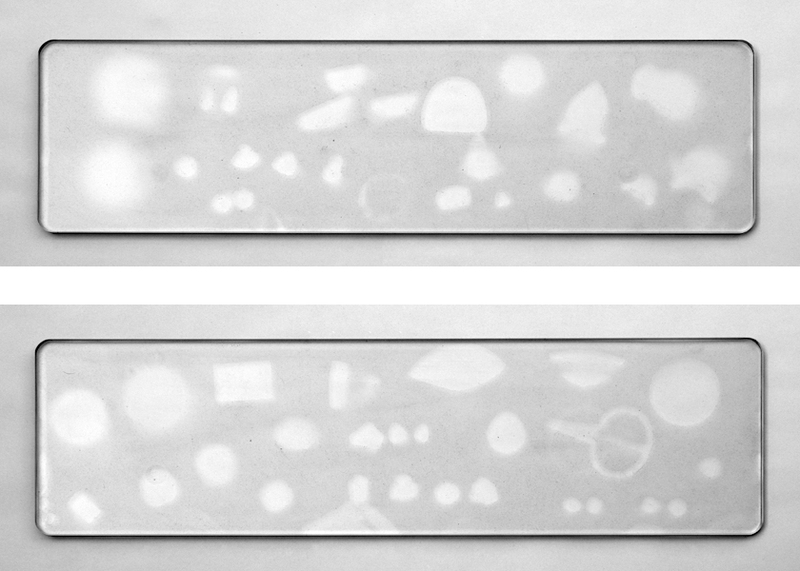 The photographs, though keeping a formal independence, also testify four sculptures, realized by the dust sedimentation on glass shelves used for exhibit some small collectible items. The sculpture becomes ephemeral, a short apparition that discloses the presence of mysterious, almost organic, shapes. 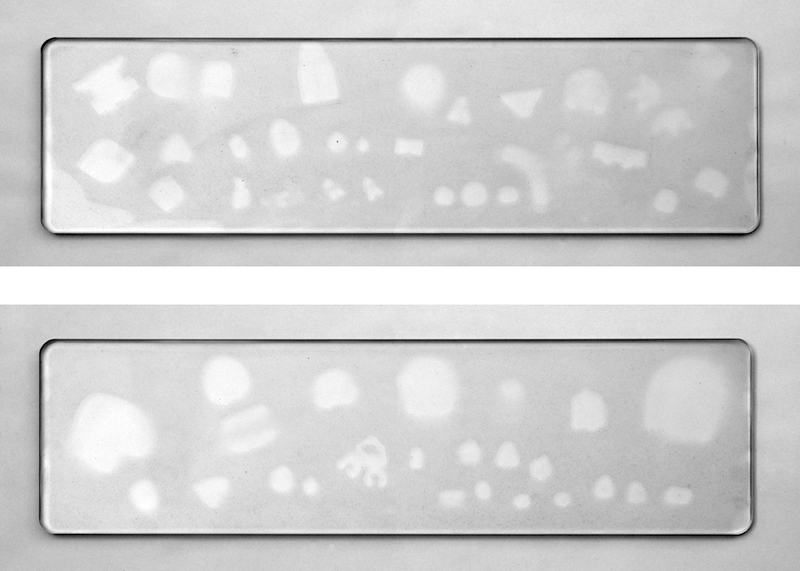 This is the reason why I decided to name this series Slides: because, not only the support (the glass) is the same here and in the laboratory slides, but also because the observation cannot last and it’s just possible during the “biologic cycle” of the sculpture.